Reluctantly selling this, one of my favourite lens as I have realised to buy I must sell! Forget the average build quality and the fact it is only manual focus you will be amazed at the sharpness of this lens. 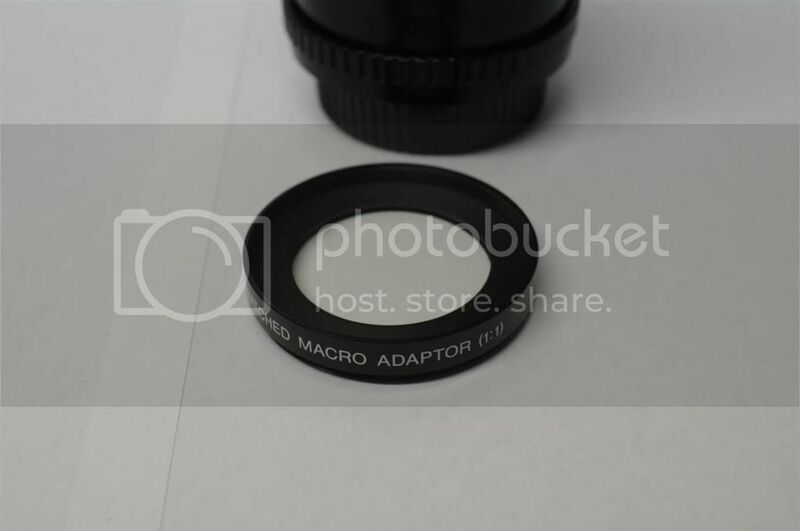 I am including the much sought after Matching 1.1 Macro Adaptor which once screwed on gives true macro and does not affect image quality. 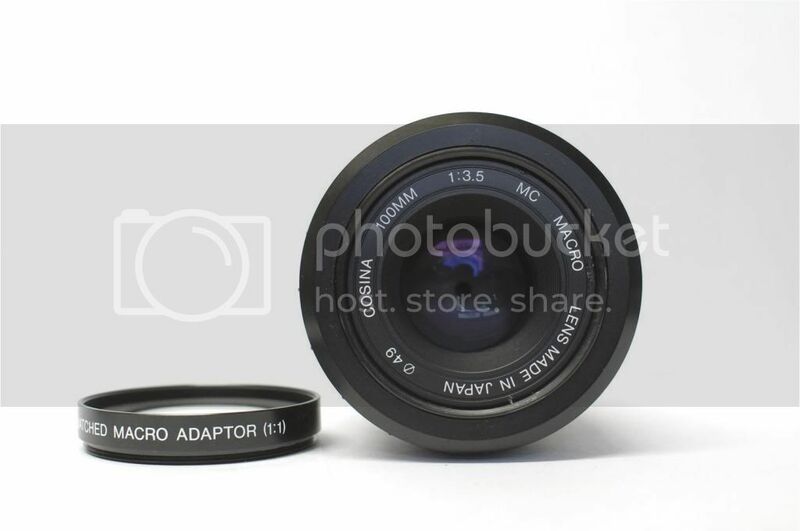 Without the adaptor you can achieve macro of 1.2. 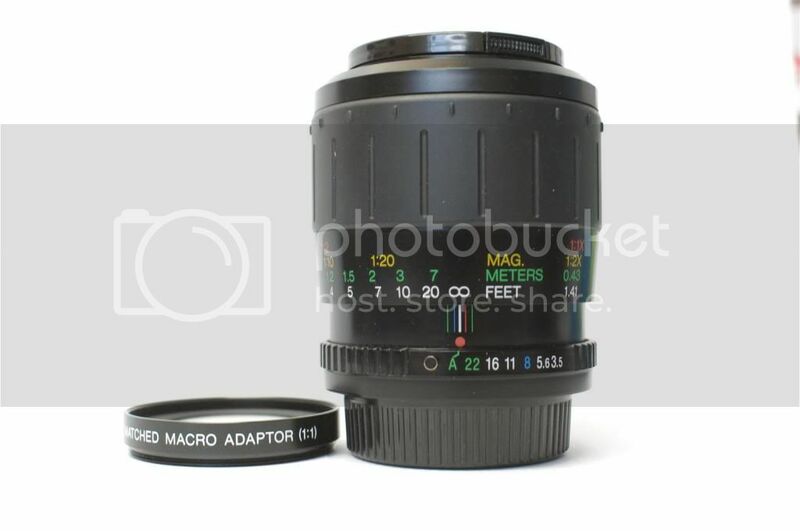 Not many of these lenses come with the adaptor and it took me a few months to locate one. I use the lens without the adaptor mainly for portrait shots which it excels at but it is very versatile and I doubt you will get a much better lens for the price. There are some photos in my gallery (wasp, irises, photos of my daughters) that were taken with this lens. It is very sharp at f/3.5 and all other apertures. 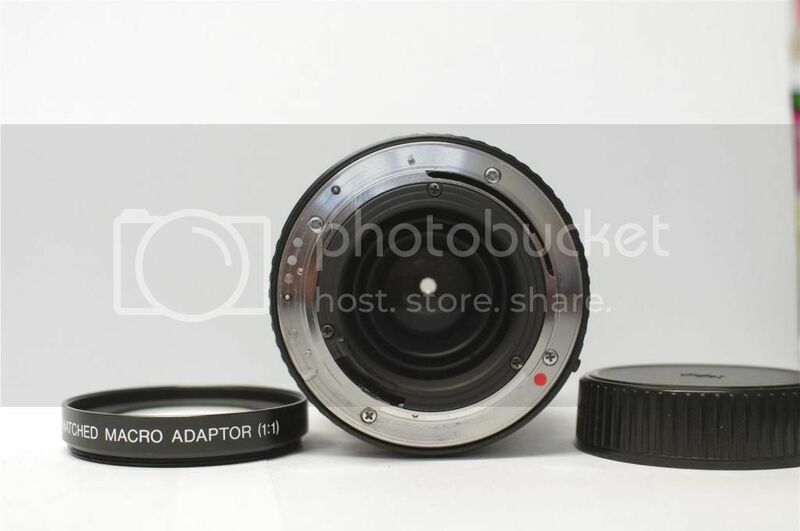 Please note it is manual focus and has the all important "A" on the aperture ring. It is not in immaculate condition and has been well used but I would describe it as very good condition for its age there is one or two tiny specks inside but nothing that affects the lens. The adaptor is also in very good condition. I am asking £80 (no offers please and I will not sell the adaptor separately) including postage within the UK. If you live overseas please contact me for postage rates. I will accept bank transfer or Paypal gift with buyer paying fees. Nobody fancies a good cheap macro lens to use now that all those bugs are starting to appear again? 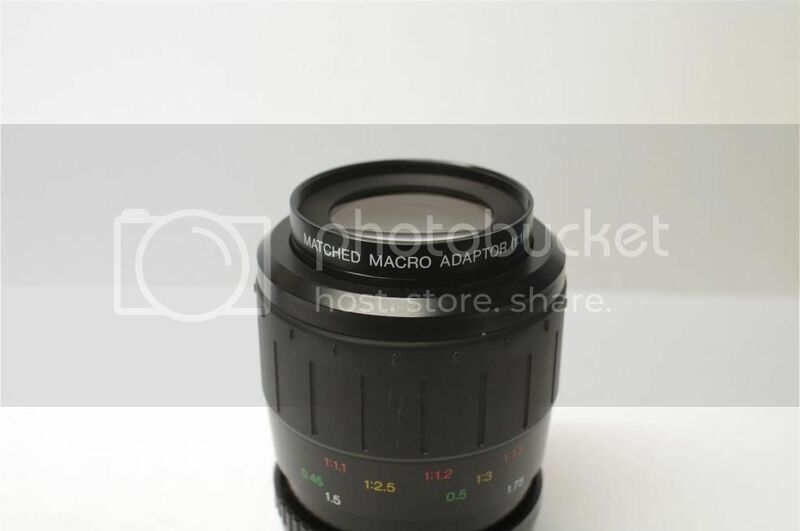 I have the Vivitar AF version of this lens in A-mount (Pentax also have their own version of this lens and sell it for ridiculous money) but I didn't know there was a manual version as MC = multi-coated (you live and learn). As for the 1:1 adapter, it 'aint all that as you can buy superior quality +1 or +2 adapters on Amazon for a few quid, but I find the native 1:2 is perfectly acceptable and the IQ is stunning. Arguably the best of the dedicated budget portrait/macro's. It can be found in the following flavours: Cosina/Phoenix/Vivitar/Promaster/Voightlander/Soligor/Pentax. I doubt the cheap adaptors are superior but thanks for the free bump. Price drop to £75 inc postage before going on eBay.